The Social media marketing revolution has begun. And when you think about it, it’s nothing strange about it at all. No matter where you go, you can see people looking at their smartphones, and most likely use some type of social media. This means that right now, a transition is happening. People’s attention is moving from television, radio, billboards etc. to social media. In fact, TV Advertising Spend Will Be Surpassed By The $77 Million Of Digital Ad Spend In 2017. MTV‘s Viewership Has Declined Over 60% Since 2011. And these are not made up numbers, this is the reality. Brands want to be seen in places where people’s attention is, and right now, the attention is slowly moving from old school entertainment such as TV to various social media platforms. In addition, social media marketing has time and time over shown brands that it is a marketing source that is much better than traditional ads. With social media, you can target your audience based on very specific criteria and only pay for what you want, for example, impressions, website clicks etc. but with a billboard, you only throw it up, hoping people in your target audience will see it, while paying a ton of money for it. Below, we’ll present you 3 Essential Tips For a Successful Social Media Marketing, so you can strengthen your strategy and reach better results. You always need to set clear goals in marketing, and social media is no exception. By setting clear goals, you’ll have an easier time knowing what you should strive towards and what choices you should make to achieve them. Plus, if you haven’t set goals, you will never be able to tell when and if you achieve your goals. And if you don’t know what you’re going to achieve, you might be getting lousy results from social media, but because you don’t know what you want to achieve, you continue without any clear strategy, instead of optimizing your goals and strategy to achieve tremendous results. We’ll get more into how you should set clear goals with your advertising strategies in point number 3. This point is probably the most important in social media marketing. At least for a successful social media marketing. If you don’t know where your target audience is, what their habits on social media are and where they can be found, you won’t reach very much success. It’s a difficult task of identifying your target audience, however, it’s extremely important for a successful campaign. If you don’t know where to begin, this mission might feel impossible, but when you know where to look, it’s really not. Most social media platforms have hashtags, but apart from help you reach a bigger audience with your posts by using hashtags, they are also a great place to look for your target audience. Simply write in a few keywords relevant to your niche, and you’ll be presented with a ton of posts that has been made using the hashtag you searched for. And often, those who use keyword-specific hashtags have something to do with the keyword. Let’s say you search the hashtag #tennis. The results that come up in the hashtags will mostly be images posted by people who are into tennis. And if you are selling tennis gear, they’re your target audience. Simple as that. All you need to do now, now that you’ve identified your target audience is engage with them and make them aware of your existence. Like a few pictures, leave a kind comment or write them a Direct Message, letting them know about an ongoing sale. This is my favorite because your competitor has already done all the work of gathering your target audience in one place. Simply search for a few competitors in your niche and take a look at their followers, their likes, and their comments. Most of the people you find in the places mentioned above are most likely interested in what your competitor has to offer and therefore have the potential of becoming your customer. Follow the steps above of engaging with them in order to be discovered and you can be sure to gain some new followers and potentially new customers. Now that you’ve identified your target audience, you can start targeting them in a paid manner, also known as ads. 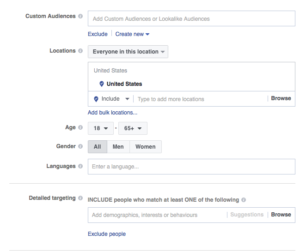 Most social media platforms offer ads which give you a ton of different targeting criteria, and if you can use them properly, and choose the criteria that are perfect for your brand, you can run laser targeted ads at a very low price, and with great ROI. However, to be able to run targeted ads, you need to know everything about your target audience. You need to know their income, hobbies, favorite color, which side of the bed they sleep on… Well, you don’t really need to know that much, but you get the point. Yuo need to know a lot about your audience. Carrying on what we wrote on point number 1. You don’t only need to set objectives when working with social media by your own, by you also need to set goals when setting up your campaign. Because what marketing objectives you set will decide a lot of your ad campaigns success. Depending on the social media platform you plan to run ads on, you can choose from a variety of different objectives, however, the main principles are always the same. If you look at the incredible laser-targeting you can use when setting up ads compared to when you run your ad on TV, it feels almost like completely different worlds. 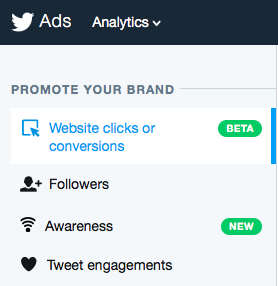 On social media, you get access to analytics where you can study your results and measure them, and on TV ads, you’re hardly getting anything. You don’t even know if people saw your ad because as soon as the commercial break came, everybody started using their phones. There’s no doubt that social media is a powerful tool. Both with ads and without. Social media is cost-effective, and a great tool to reach your target audience with. It is also clear that nowadays, consumers demand brands to be on social media. Some even to the point where they demand and expect brands to have activity on at least one social media platform. Specifically, 95% of Millennials think brands should have a Facebook presence. Also, 87% of Gen X’ers (30- to 44-year-olds) and even 70% of those ages 45 to 60 think that brands should, at the bare minimum have a Facebook page. And this tells us a lot about the development of the marketing and how it has changed. Just a few years ago, social media was a luxury for only a few brands, but now, it is something that is demanded by almost all customers. And this puts pressure on brands that have to live up to these expectations, however, that is a good thing, because only then will they realize the immense potential social media has.